The chances of anyone seeing a ghost in the course of a lifetime are estimated to be as high as one in ten. Reports of sightings that defy all logical explanation come from all over the world - from the British Isles, the United States and Australasia to Europe, India and Africa. 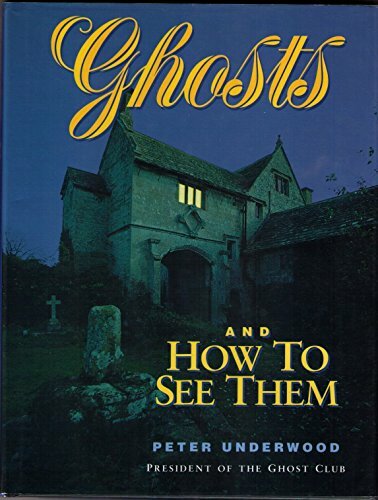 Now one of the world's leading authorities on the paranormal has written a compelling book for would-be ghost hunters everywhere. It contains dozens of gripping reports, drawing on well-documented case histories, backed by witnesses. Many of the sightings included have never been revealed before.Almost everyone loves a good ghost story, whether it is fictional or, apparently, true. Almost everyone either has had a psychic experience - or knows someone who has had one. This book, addressing one of the longest enduring problems for science, is for them all. If you are in the right place at the right time you will in all probability see a ghost!